You know those subscriptions services that you can subscribe to where you pay a fee and then you get a box filled with goodies (like clothes or pet supplies or beauty items) delivered to your door? They are all over the place these days. You can even order a "man box" to be delivered to a favorite man in your life. There is something exciting about getting that box filled with who-knows-what that someone else put together for you. That is exactly what getting my CSA is like for me! I get a bag filled with the best fruits and veggies around, along with recipes to try. This week was my first pick-up and I was thrilled! One of the reasons I like the CSA is also one of the reasons I liked the clothing box service that I tried once - it pushed me out of my comfort zone. I would not have bought that sweater, but I loved it once I had it on! Likewise, I would not have bought mint or scapes this week, but goodness gracious am I glad they were in my CSA. 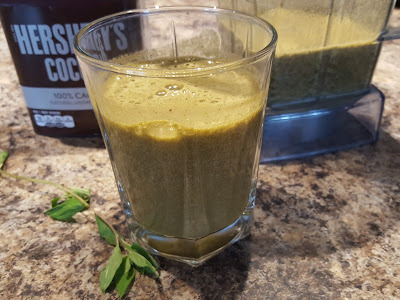 This shake that I made with the mint is incredible...just what I needed on a hot summer day. My daughter had a friend over and when I shared with the three kids, she told me I should give her mom the recipe. (I didn't bother telling her how healthy it is.) Win!! 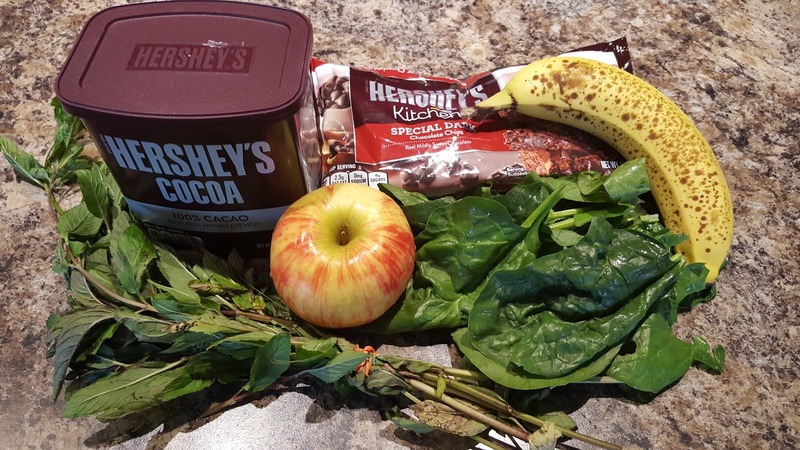 Blend all ingredients except for the cacao nibs for 1-3 minutes. Add the cacao nibs and blend for 30 seconds more.